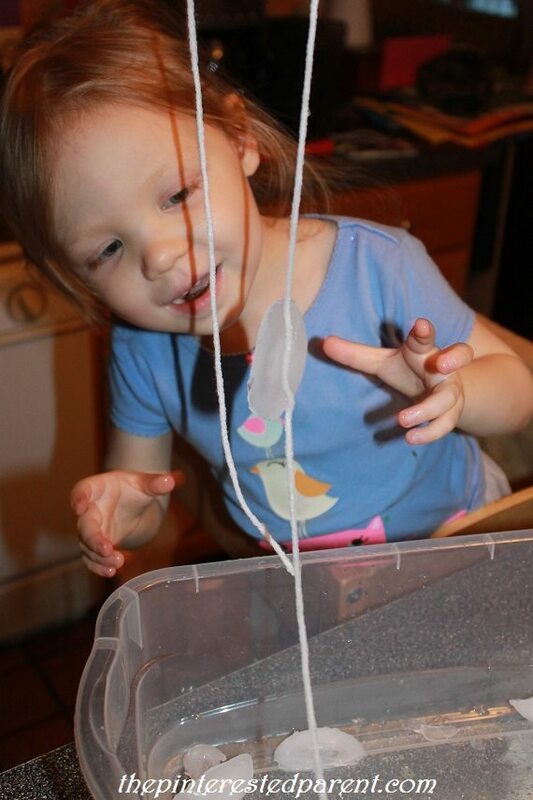 When choosing science experiments to do with my toddler, I find that the simpler the experiment the better. She loves water play, so the experiments with water are our favorites. 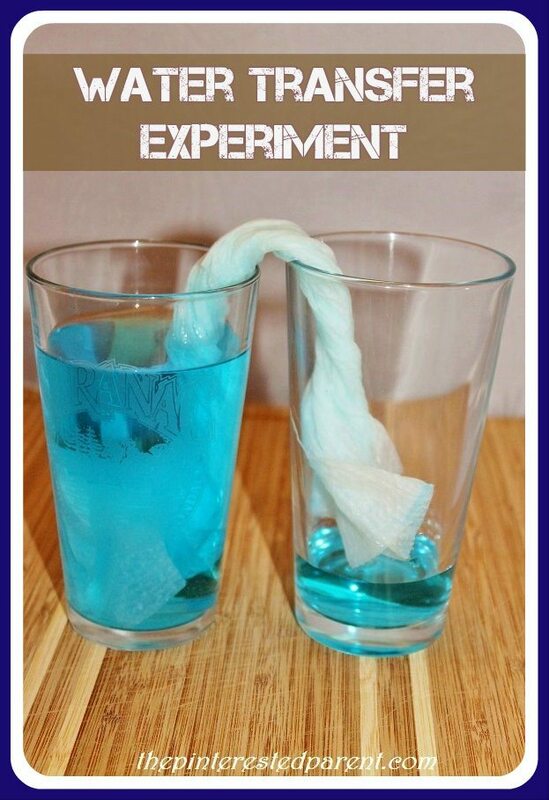 I found the great ideas for these fun & easy experiments from two of my favorite science sites for kids www.sciencekids.co.nz & stevespanglerscience.com. Make sure that all of these are done with parental supervision. 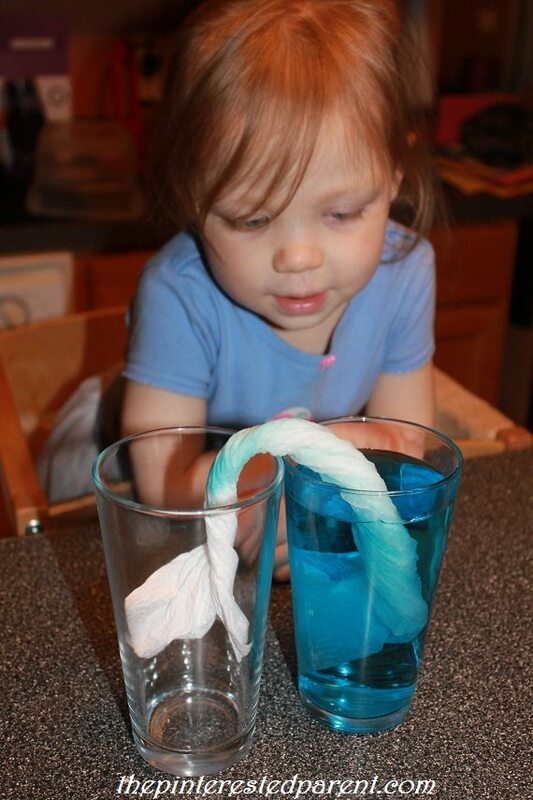 All you will need for this experiment is 2 glasses, water, a couple of drops of food coloring & a couple of sections of paper towel. Place 2 glasses next to each other. Fill one of the glasses with water. Add a few drops of food coloring to it. 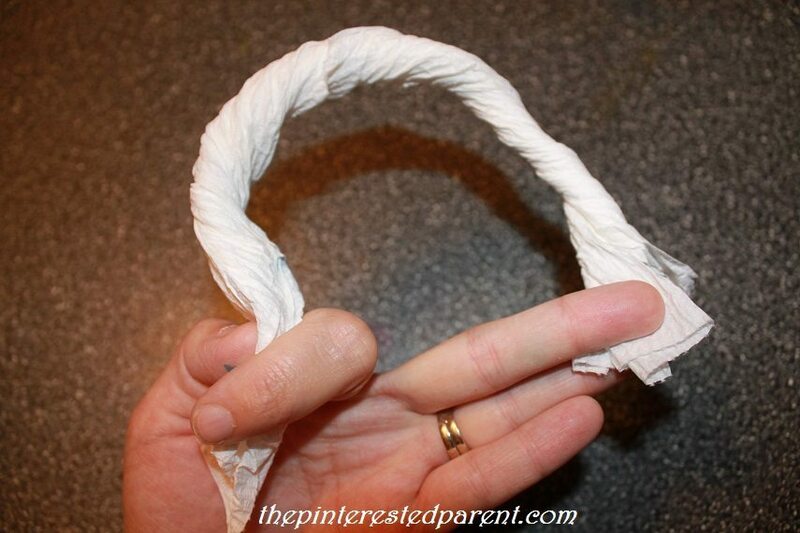 Twist 2 sections of paper towel as shown. 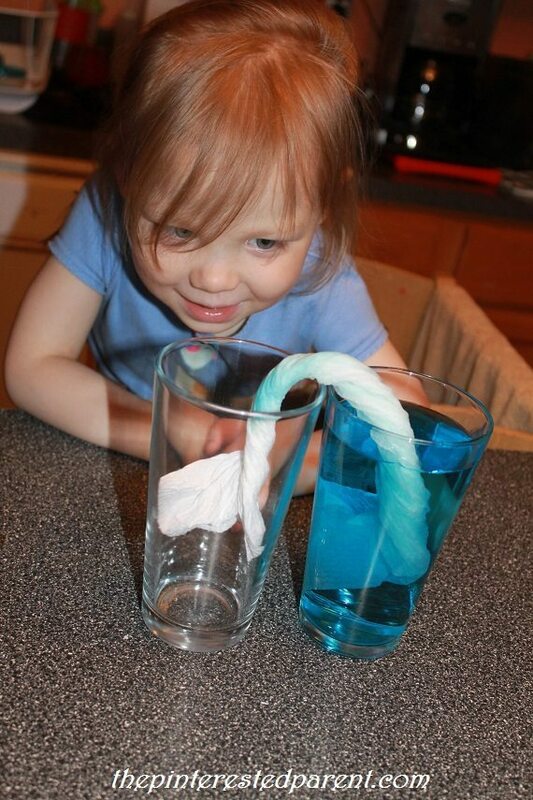 Put each end of the paper towel into both of the glasses. 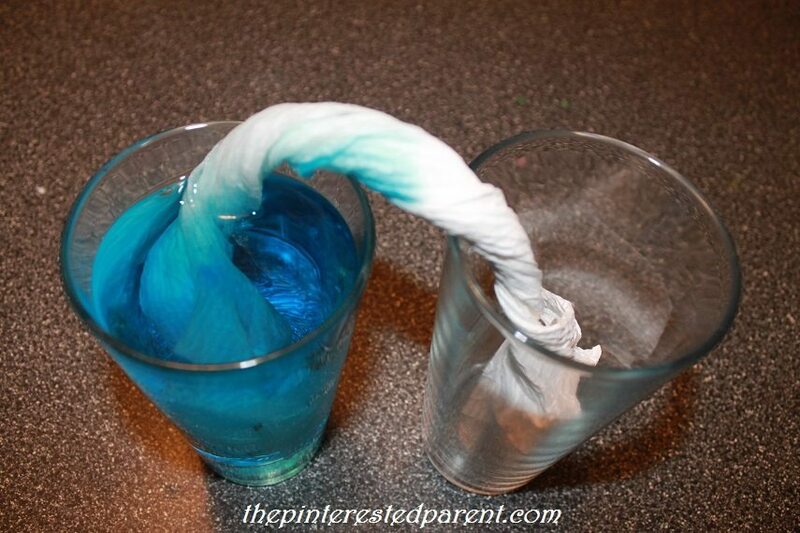 You can watch the color creep across the paper towel as it absorbs the colored water. This will take a little bit of time. We kept checking on our glasses every few minutes. After some time, the water will move from one glass into the other. In between checking on our water transfer, we tried a couple of other quick experiments. Cut a few strands of yarn or string & put them aside. 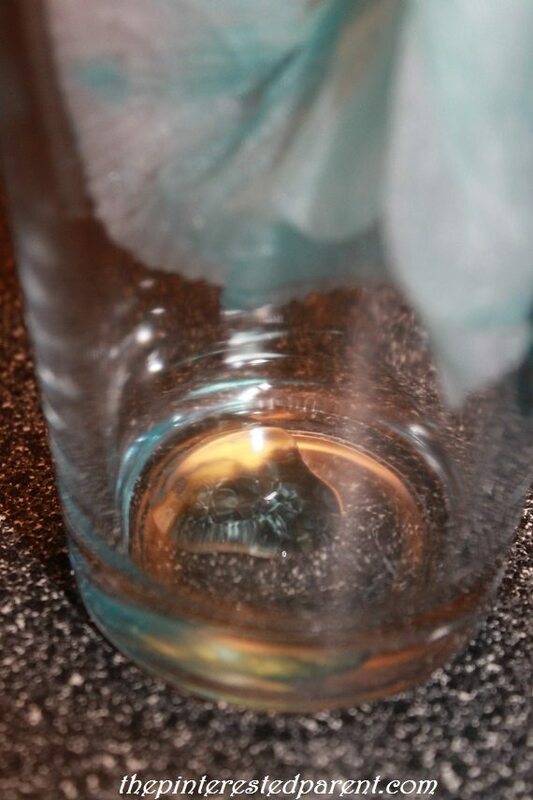 Put ice cubes into a clear container of water. Lay the yarn across an ice cube or two & sprinkle the ice & the yarn with Kosher salt. Let it sit for a moment. The science behind it is that the salt will melt the ice & then as it sits in the cold water will refreeze around the string. Lift the yarn & watch as the cube sticks to the string. This last one was more for me than my daughter, as she was completely disinterested in this one, while I found this fascinating. 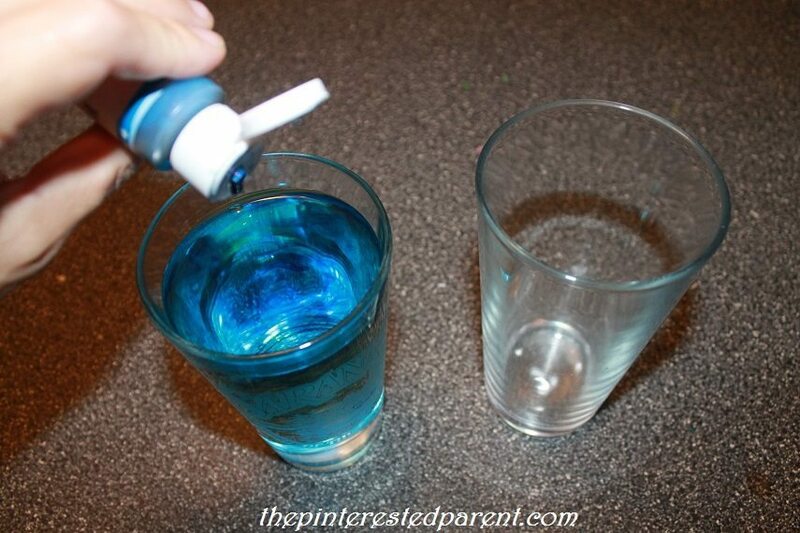 Fill a glass all the way to the top with water. 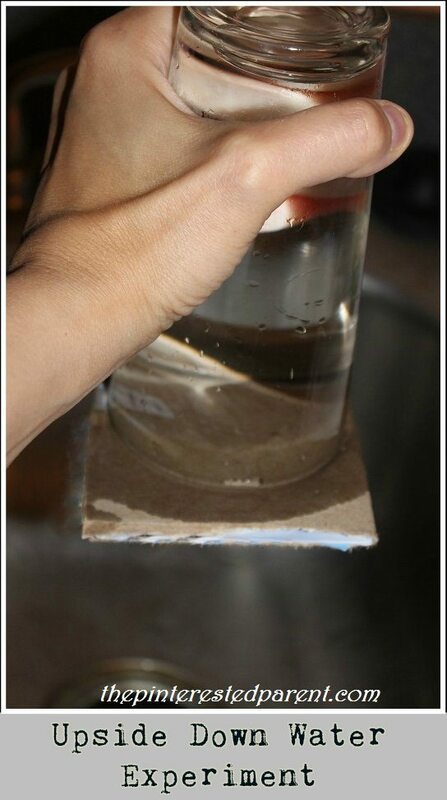 Place a piece of cardboard over the top of the glass. Place the palm of your hand over the cardboard and press putting pressure around the edges & in the center. You can feel a slight suction while you press. Flip the glass upside down & carefully remove your hand. The water & the cardboard should stay in place. Do this over a sink in case just in case. Thanks Janine. They were fun for her.